OVER the past seven decades, the hallowed halls of the UN have witnessed some fiery, marathon speeches by world leaders that have become classics in diplomatic lore. The oratory of Soviet leader Nikita Khrushchev, Cuban revolutionary leader Fidel Castro and Palestinian icon Yasser Arafat springs to mind. Zulfikar Ali Bhutto’s speech at the Security Council in 1971 also merits mention. 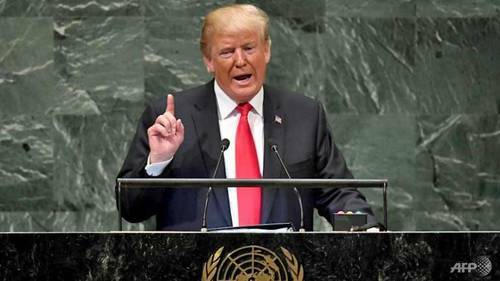 However, Donald Trump’s second speech as US president at the UN General Assembly on Tuesday will also be remembered — for all the wrong reasons. 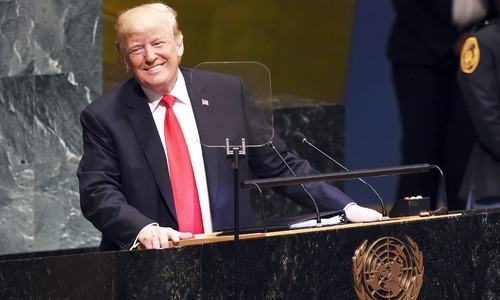 In effect, the US president attacked the concept of multilateral diplomacy in the very institution that has championed it since the Second World War, striking a confrontational, populist tone. “We reject the ideology of globalism and we embrace the doctrine of patriotism,” he observed. He urged all “responsible nations” to defend their sovereignty from “global governance”. 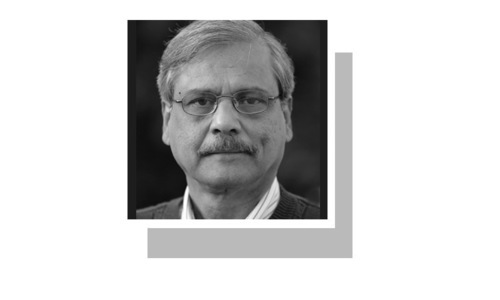 Mr Trump’s speech also contained plenty of invective against Iran, signalling that a thaw in relations between Washington and Tehran is highly unlikely. Presently, in many parts of the world, the dangers of populism and hyper-patriotism are apparent. In Europe, many far-right groups have entered parliaments across the continent. 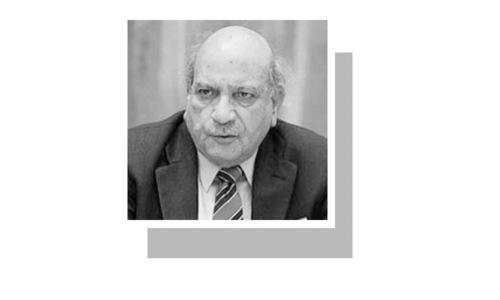 The subcontinent is also not immune to the rise in right-wing zealotry; we in Pakistan have seen fanatics being mainstreamed while in India, the ruling BJP is increasingly showing its ‘true’ saffron colours and commitment to Hindutva, challenging the concept of secular democracy. And in the US itself, Mr Trump’s very rise has challenged the system, as the American far right has been emboldened by the US president’s capture of power. If anything, the world currently needs more globalism and cooperation, not less. Not too long ago, we witnessed the horrors of extreme populism as the far right in Europe unleashed a reign of terror during the Second World War. Worryingly, much of the language and symbolism being used by some leaders, including Mr Trump, can be interpreted as condoning extreme rightist tendencies. If diplomacy, multilateralism and dialogue are abandoned, what are the alternatives? Instead of rejecting globalism, it is isolationism and confrontation that should be shunned, and all states must work towards rebuilding an admittedly broken global system. Instead of more wars, more weapons and more deaths that will undoubtedly result if the path of confrontation is pursued by states, efforts must be made to create a more just global order governed by human rights and international law, where states’ sovereignty is respected and poverty, hunger and disease are addressed collectively. Globalisation means to connect hostile boarders into free trade zone, which could really boost up peace and economy of the respected countries. World has witnessed the fast growing rate countries having free trade boarders which produce billions of dollars per year. Currently, Pak_India trade stops at 2 billion$, which world bank in its research has shown that it has the ability of about 37 billion$ if aggression is melt down. While on the other hand as usual trump's arguments spread fury and confusion, which recently went against globalism. Globalism would surely decrease selling of his mighty and catastrophic weapons across the world, which he would obviously not agree to it. World needs development and peace in such a depressed atmosphere, and it needs to be changed from the mess one. Not all rich men are wise. Trump is a prime example. All nations have right to protect their national interests first, to avoid predatory imports, which are detrimental for survival of local industries. For a long time, world has been looking for an ideology other than communism and liberal democracy. Populism seems to be an alternate to those ideologies. 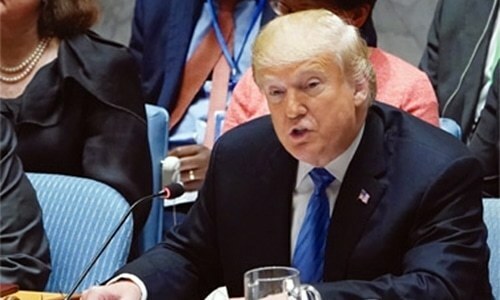 Trump comments were designed for America's not the UN. USA taxpayers have grown weary of supporting causes that have no obvious benefit to Americans. For Trump America comes first and foremost. America has lost many jobs to Chinese for poor quality and cheap products, Mexico with low wages. Even momentous ( Statue of Liberty, Times Square ) are made in China. Textile industries are gone. In 80s there used to be good Quality shirts “ made in USA “ now no more. Each and every apparels are from foreign countries.